Globalisation and European cohesion. 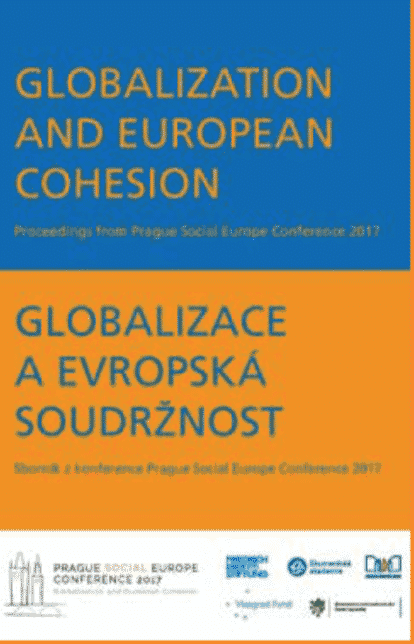 Proceedings from the Prague Social Europe Conference. The Prague Social Europe Conference (PSEC) 2017 took place in Prague on April 2017 to debate the future of the EU with academics, politicians and trade unionists from the CEE countries. The PSEC was part of a regional dialogue about the Future of Work initiated by the International Labour Organisation (ILO). Journalist Paul Mason, Maria João Rodrigues (MEP) and the Prime Minister of the Czech Republic Bohuslav Sobotka gave speeches about globalisation and European cohesion, regional development and ris- ing social and economic inequalities. The proceedings contain transcripts of key notes and summaries of all the discussion parts of conference. The PSEC was organised by the Ministry of Foreign Affairs of the Czech Republic, the Friedrich- Ebert-Stiftung Office in Prague, the Ecumenical Academy and the Masaryk Democratic Academy.